Crossovers utilize the flexible interior space of the SUV while providing performance better suited to paved roads. 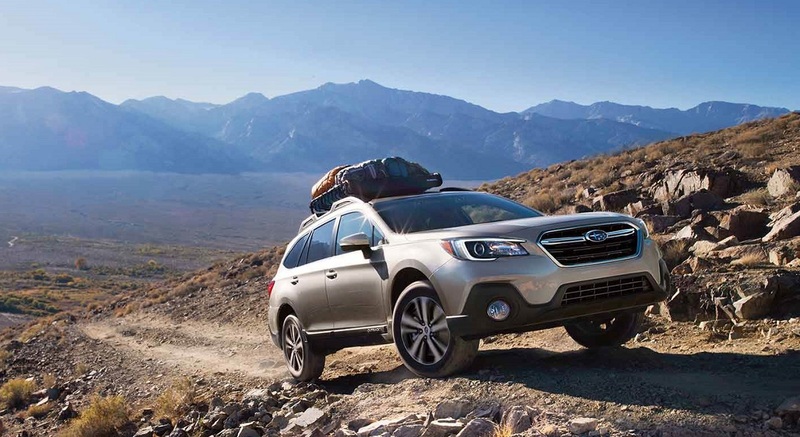 The 2019 Subaru Outback expertly does this without losing the ability to navigate harsher terrain than most of its rivals can and do all of it in luxury and safety. Here's how it accomplishes it all. With a front section that's disproportionately long compared to other crossovers, the 2019 Subaru Outback seems relatively sleek and low in its design. This is something of an optical illusion, though, since it has 8.7 inches of clearance that's ideal off the pavement. 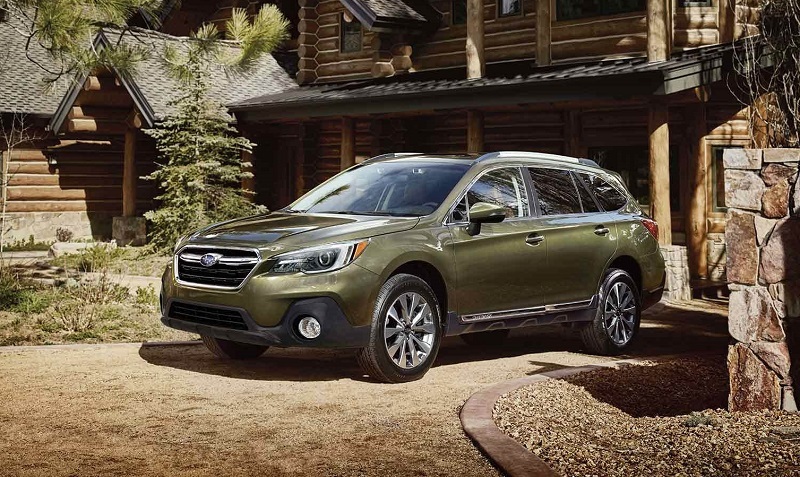 Overall, the Outback's bearing is subdued yet functional with thin roof supports yielding to larger windows for an unimpeded view of surroundings. Fronting the vehicle is a modest-sized roughly hexagonal upper grille emblazoned with the Subaru logo. Enclosed by rectangular headlights, it's balanced by a thinner lower grille. At the opposite end of a body available in nine colors including abyss blue, cinnamon brown, and wilderness green, taillights positioned along the frame intrude into a hatchback that's guarded by both the bumper and the lower sides of the Subaru Outback. 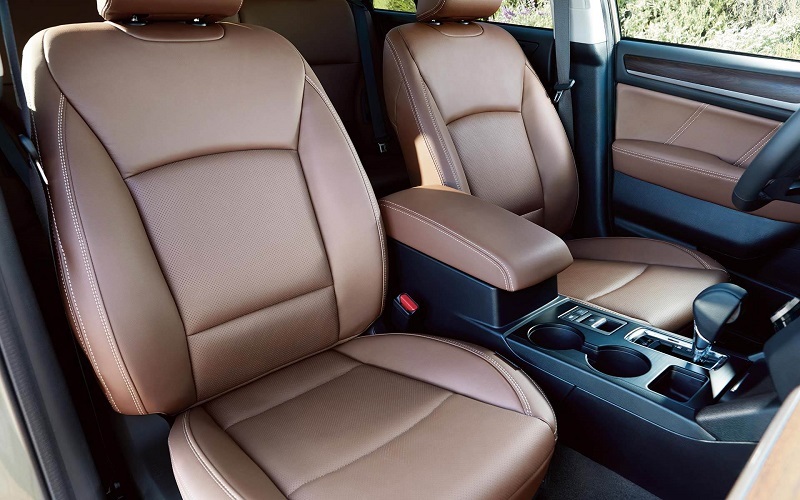 The 2019 Subaru Outback near Thornton possesses a quality that combines stylishness with practicality best exhibited in its lavish elbow room. Front riders enjoy 40.8 inches of headroom that's only slightly reduced with the addition of a moonroof and 42.9 inches of legroom. Bolstering this are 38.9 inches of headroom and 38.1 inches of legroom for second-row occupants. Behind it all, 35.5 cubic feet of payload space mushrooms to 73.3 cubic feet with the back seat lowered. On the base-level 2.5i model, a 6.5-inch touchscreen is planted square in the middle of the dashboard and is equipped with Apple CarPlay, Android Auto, and Bluetooth compatibility. There's also an AM/FM/CD player with 4 speakers, two USB ports, and air conditioning. The Premium edition serving Thornton Colorado switches to an 8-inch touchscreen, adds two more USB ports for the back seat, makes the climate system dual-zone, and adds two more speakers and HD radio to the audio system. It also replaces the 6-way manual driver's seat with an automated 10-position seat that's heated along with the front passenger seat. 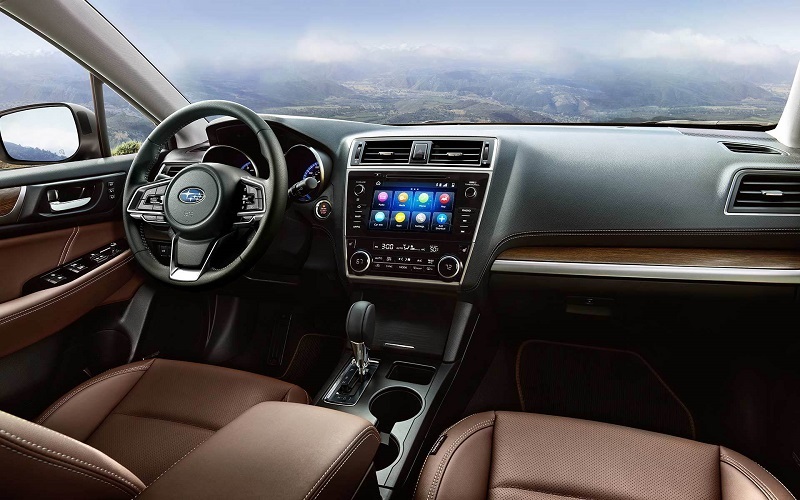 Limited and Touring models at Flatirons Subaru get supreme luxury with items like leather trim, an automated 10-position front passenger seat, heated rear seats, keyless access, digital navigation added to the touchscreen, and a 12-speaker, 576-watt Harmon-Kardon sound system. A standard power moonroof on the Touring edition tops things off. 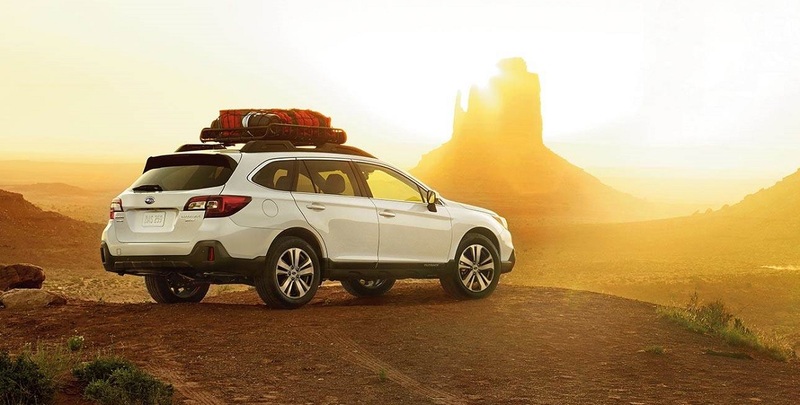 The 2019 Subaru Outback near Thornton keeps its occupants comfortable with automation like power locks, windows, and mirrors. It also offers a power hatchback with height memory that's standard on the Limited and Touring editions. Supplying the energy to make things move is a 110-amp alternator that also sends juice to electric-assist power steering capable of a 36.1-foot curb-to-curb turning radius. Normally furnished with an economical 2.5-liter flat-4 Boxer engine, the Subaru Outback also has a 3.6-liter flat-6 for extra power. The 2.5-liter delivers 175 horsepower that's quite effective for most uses while providing, according to 2018 measurements since 2019 tests have yet to be performed, 25 mpg city and 32 mpg highway. If quick acceleration on the open road is needed or extra tenacity in climbing over rocks is required, the 3.6-liter block optional with the Limited and Touring editions will oblige with 256 horsepower and 247 lb-ft of torque. Trading economy for muscle, it still achieves a comfortable 20 mpg city and 27 mpg highway. All Outbacks at Flatirons Subaru come with all-wheel drive and power is transmitted via a CVT or continuously variable transmission that's designed to simulate shifting gears. Both engine sizes are configured as unique Boxer engines that use equal numbers of pistons in direct opposition of one another in a flat layout. This balances piston motions for minimal engine vibrations. The motor itself lays flat which keeps the vehicle's center of gravity low so there's less tilting when it turns a tight corner. With the engine sitting low in the engine bay, it's also more likely to be driven under the passenger cabin in a high-speed crash than straight into it. The 2019 Subaru Outback has been tested by the National Highway Traffic Safety Administration and earned 5 stars averaged over all tests including 5 stars for forward impact and side impact tests. Not tested by the Insurance Institute for Highway Safety for 2019, the same design in the 2018 lineup serving Thornton Colorado did capture a top rating of Good in all major categories. Backing these notable results are features like airbags, traction and stability control, antilock brakes, and a rearview camera. The 2019 Subaru Outback near Thornton has also included a bit of artificial intelligence in all its models with the EyeSight safety system consisting of adaptive cruise control, front collision identification and emergency braking, and lane departure alarm and correction. There's also blind spot scanning and rear cross-traffic alarm on the Limited and Touring editions serving Thornton Colorado along with automated reverse braking. The Subaru Outback features exceptional room, exceptional comfort, exceptional safety, and exceptionally stable handling both on and off the road. Come out for an exceptionally enjoyable test drive at Flatirons Subaru today and go home with an exceptional crossover.